Ask A Vet: Should I Still be Vaccinating for West Nile Virus? First, a little refresher course on West Nile Virus. 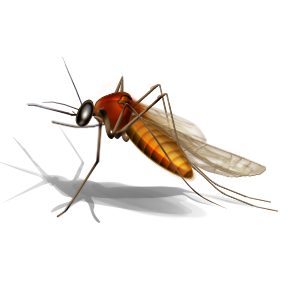 West Nile is a mosquito-borne disease that causes encephalitis, or inflammation of the brain. This inflammation can cause stumbling and lack of coordination, weakness, partial paralysis (inability to stand), muscle twitching, and even death. Treatment of the disease is focused on supportive care – keeping the horse comfortable while fighting the symptoms of the disease. Currently, West Nile does not transmit from horse to horse, or from horse to human, but West Nile can affect almost any species. Birds are the key part of the equation. Birds build enough virus in their blood so that when a mosquito bites an infected bird and then bites another animal, it can pass on the virus. Why not? Because the most significant reason for the sharp decline in cases is vaccination. 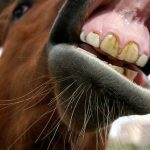 All of the vaccines that are used in horses for West Nile are highly effective, but in order for horses to keep a level of antibodies in their bloodstream that can protect against West Nile, they must be re-vaccinated every year. It is this continued re-vaccination which keeps the number of cases low here in Colorado. 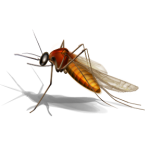 Those of us at Mobile Veterinary Services recommend a single yearly vaccine administered in the spring, just before the “mosquito season” begins. So, with spring vaccination season just around the corner, make sure to keep your horses safe, and keep up with their vaccination schedule! And get out there and enjoy the beautiful weather with your horses!